MarkeDental is pleased to have been chosen to design and develop a new digital face for Dixie Dental Associates in Mississauga. 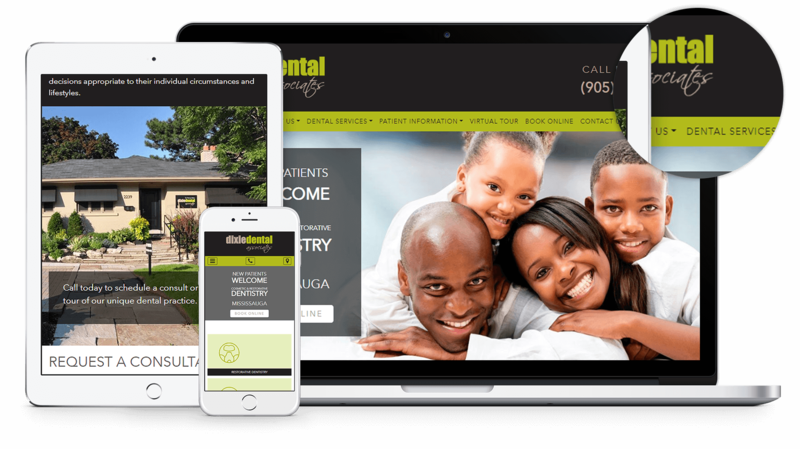 A caring, warm, family-oriented practice, Dixie Dental wanted to refresh their web presence to remain up-to-date digitally, while retaining the warmth and personalized care they've prioritized in their practice. We made sure to create a fully responsive site design for a great browsing experience on all devices, and chose green colour tones to create a welcoming yet eye-catching visual dynamic.